With a grueling election cycle inching into its final lap, millions of gamers nationwide will soon help elect the next President of the United States. I don’t believe I exaggerate when I say we’d rather contemplate which starter to pick in Pokémon Sun and Moon instead. For more than a year, caustic debates and ugly scandals have shaped an election so bitter and divisive, it makes a typical console war look civil. Caught between the Donald and Clinton 2.0, can you blame voters for thinking they’ve encountered a game-breaking bug on their ballots? The harshest player choices in Mass Effect look more uplifting. From kidnapped princesses to evil emperors, videogames aren’t exactly known for inspiring leaders either. But compared to the candidates Americans are stuck rooting for in 2016? Casting a write-in vote for Princess Peach doesn’t look so insane now, does it? That’s why I’ve rounded up five videogame presidents who deserve your vote on Nov. 8. Because if you want to toy with an alternate candidate, a fictional one is as good as any this year. If mutating into a rotting, walking corpse somehow makes a person unfit to hold office, then our election system really is rigged. As president, Adam Benford battled the menace of Bio Organic Weapons and lost his life in a terrorist attack plotted by global elites. But he didn’t stay dead for long! Now his insatiable hunger for human brains is matched only by his drive to serve the American people. 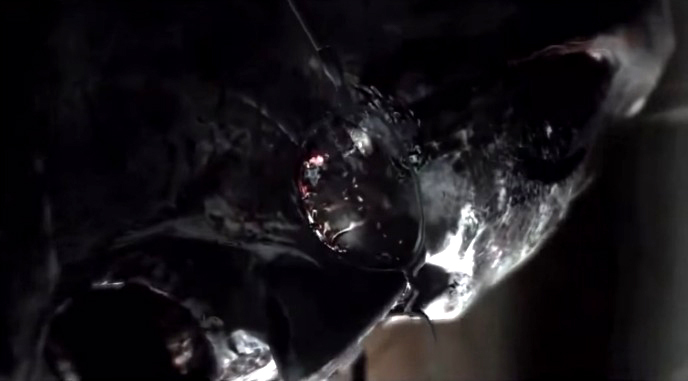 Hey, if zombies in Resident Evil 6 are smart enough to fire guns, I see no reason why they can’t faithfully execute the Office of the President of the United States. Imagine how much more exciting the next State of the Union address would be if the president shambled into the House Chamber and tore a mouthful of flesh out of the nearest congressman. Americans deserve such bold leadership. We’re fed up with business as usual, and nothing can uproot Washington D.C.’s partisan gridlock and special interests faster than a localized t-Virus outbreak. A Benford administration would do well to adopt the homeland security initiatives of his predecessor, President Graham. When a cult of parasite-worshipping weirdos kidnapped his daughter in Resident Evil 4, he cut through the red tape to send in special agent Leon Scott Kennedy to wipe them out. ISIS wouldn’t stand a chance. To overcome the unending challenges our nation faces, the 46th president must recognize that war, war never changes. No one knows this better than John Henry Eden. 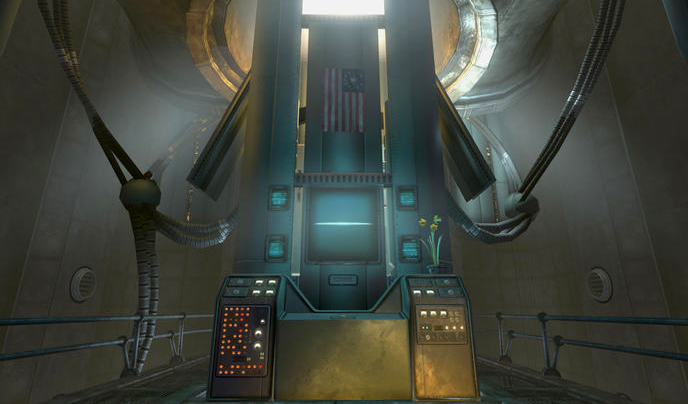 After nuclear warheads blasted the world of Fallout 3 into an irradiated wasteland, Eden dared to dream of an America restored to its former glory. Forget healthcare and entitlement reform. We’re talking about reclaiming civilization here. Try finding that ambition in a mainstream candidate’s talking points. An advanced, sentient super computer, Eden would bring not only unmatched intelligence to the White House, but charisma too. With the personalities of all past U.S. presidents downloaded to his memory banks, he could please everyone. Sure, he didn’t actually grow up in rural Kentucky, but by God can he spin that fake childhood into an inspiriting speech. I mean, at least give us a president who can pretend he’s wholesome. Many might peg Eden as a delusional extremist, a wonky Artificial Intelligence gone wrong. But besides plotting the extermination of a few mutants, Eden foresees a bold vision for our future, full of bald eagles and apple pie. But don’t take my word for it. President Eden, what can you promise the American electorate? If that’s not an inspiring stump speech, I don’t know what is! 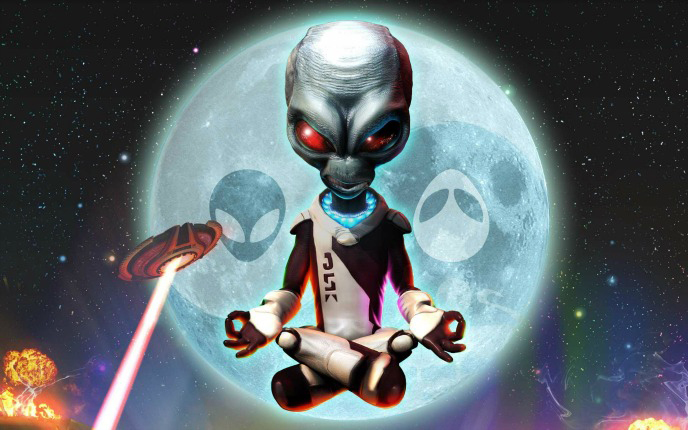 President Crypto — Destroy All Humans! If you’re as sick as I am of conspiracy theorists trumpeting that the president was born in Kenya, why not elect a politician from a different solar system altogether? That would stick it to them. Look to the extraterrestrial trailblazer Crypto (full name Cryptosporidium) for that demographics’ best nominee. A sadistic soldier of the Furon Empire, Crypto mounted a one-alien invasion of the United States back in the goofy 1950s. After a campaign of harvesting human DNA and bovine abuse, he affectively took over the Federal government at the end of the first Destroy All Humans! game. Admittedly, he charted an unconventional path to the presidency, sidestepping the mathematical path to 270 electoral votes. Instead he zapped the former president (who had been transformed into a cybernetic mech codenamed Robo-Prez… don’t ask) into cinders and stole his identity using holographic technology. If that sounds undemocratic to you, then maybe it’s time we rethought our methods for choosing leaders. Crypto bested our nation’s combined forces singlehandedly. If we’re going to get beaten that badly, we might as well bow down to our galactic overlords. Besides, Crypto is a fun, honest guy. Rude and crude, he may be, but he sure speaks his mind when asked. He pretty much shot political correctness of out his flying saucer’s airlock. Don’t want a bug-eyed space freak to tread on you? No worries, there are plenty of authoritarians here on Earth to select from instead. 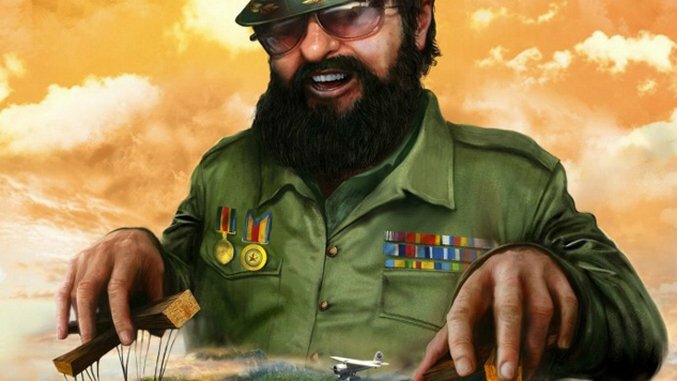 Case in point, El Presidente, star of the ever-charming Tropico series of Caribbean dictatorship simulators. Depending on the player in control, El Presidente can rule as a benevolent big brother or an autocratic kingpin. You can probably guess which path offers the most fun. In truth, running a tropical paradise isn’t as easy as it looks. Rebellious subjects could rise up on a whim, or an imperialist superpower might invade. Balancing these concerns, while avoiding feuds with belligerent capitalists and communists, would prepare any politician for our comparatively tame ideological divide. Heck, if El Presidente does take over America, we need never worry about holding pesky elections ever again! 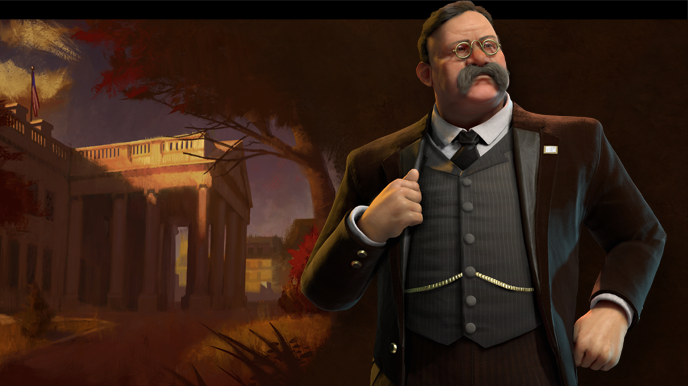 Theodore Roosevelt, leader of the Americas in last month’s Sid Meier’s Civilization VI strategy epic, needs no introduction. With his jolly jowls, Roosevelt spoke softly and carried a big stick, earning his reputation as a “damned cowboy” who rode into battle on a wave of populism and testosterone. How amazing was Roosevelt? Shot by a would-be assassin in 1912, he not only shrugged off the bullet, but roared out a lengthy speech immediately afterwards. “I don’t know whether you fully understand that I have just been shot,” he said, “but it takes more than that to kill a bull moose.” In Civilization’s global game of tactical geopolitics, the likes of Cleopatra, Queen Victoria, and Montezuma never stood a chance. That Roosevelt actually existed once gives his candidacy a realistic shot in our current political climate. Just exhume his body, prop it up in the Oval Office, and all we’d need is an Ouija board and one of those Miss Cleo infomercial physics, and we could have Theodore Roosevelt running the country again from beyond the grave. Read the latest headlines and tell me that sounds crazy. As today’s airwaves buzz with soundbites and partisan mobs fume, we could do a lot worse.